New Lancia-Chrysler CEO Saad Chehab says the new Thema (shown) and Voyager are crucial to Lancia's bid to appeal to buyers outside of Italy. TURIN – Fiat S.p.A.'s struggling Lancia brand expects to get revenue and volume boosts from the launch of two high-margin Chrysler-sourced models. The Thema large sedan and Voyager large minivan are forecast to have an average transaction price of about 45,000 euros. That is more than double the 17,000 euro average sale price generated by Lancia's current lineup, which includes the three- and five-door Ypsilon subcompacts, Musa small minivan and Delta compact. 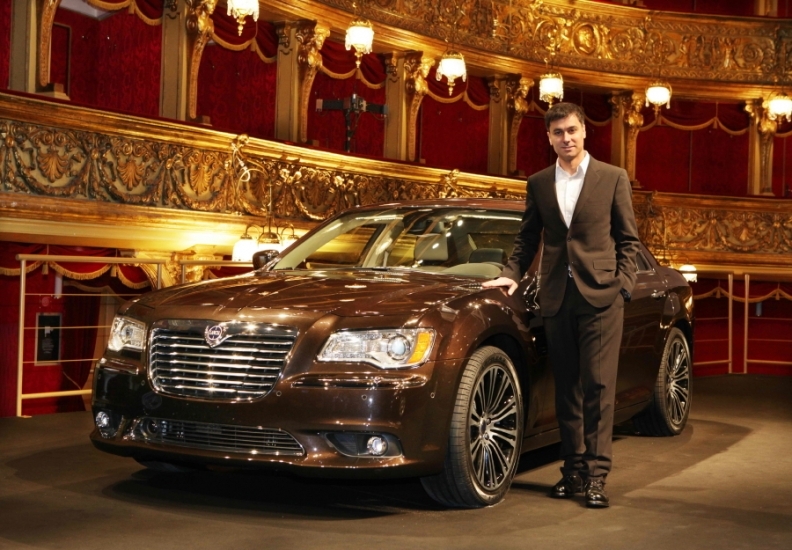 The Chrysler models, which will be imported from Canada, also are expected to help boost Lancia's 2012 sales by a combined 21,000 units. With added help from a full year of sales of the new Ypsilon, which was launched in July, Lancia expects its 2012 volume to rise to 130,000 units from an anticipated 90,000 this year. The Chrysler-sourced models will arrive too late in 2011 to help prevent Lancia sales from declining 10 percent this year to about 90,000 units. The main reason for Lancia's decline is Italy, which is on pace to reach a 15-year sales low of about 1.75 million vehicles in 2011. That will hurt the near-premium brand because Italy accounts for nearly 90 percent of its annual volume. Of the combined 21,000 Thema and Voyager units that Lancia plans to sell next year, 13,000 of those transactions are expected to happen outside of Italy. "The Thema and the Voyager are two crucial models to begin relaunching Lancia in the rest of Europe," said Saad Chehab, the new head of the Lancia and Chrysler brands. The 21,000 units exclude anticipated sales of about 4,000 Themas and Voyagers in the UK and Ireland, where the models will wear the Chrysler badge. Lancia is only sold in continental Europe. The Thema, a rebadged Chrysler 300, replaces the poor-selling Thesis large sedan, which was discontinued in 2009. The Thema, which goes on sale in Italy this month and in rest of Europe in November, starts at 41,400 euros. The Voyager, a rebadged Chrysler Town & Country large minivan, replaces the Lancia Phedra, which was built in Valenciennes, France, as part of a joint venture between Fiat and PSA/Peugeot-Citroen. Last year, Lancia sold 1,744 Phedras, down 32 percent from the year before, according to data from market researcher JATO Dynamics. The Voyager starts at 39,000 euros in Italy.